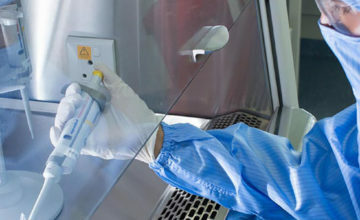 Our research program efforts rely on a network of laboratories coordinated by the Emerging Pathogens Laboratory in Lyon. Its objective: foster international collaboration for infectious disease research. 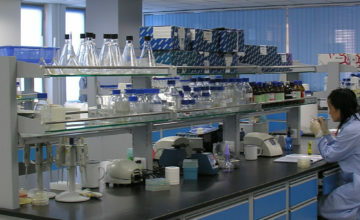 The GABRIEL network is an international network of research laboratories with close to 20 members, including the Emerging Pathogens Laboratory, the Christophe Mérieux Laboratory in Beijing and the Rodolphe Mérieux Laboratories, created by the Mérieux Foundation, in addition to other research laboratories or institutes in developing countries. They work together on the ground and lead research projects that address local infectious disease priorities. The Christophe Mérieux Laboratory in Bejing is equipped with the most modern technologies, focused on identifying new viruses. Our laboratory in Lyon-Gerland runs collaborative research programs and boosts the careers of scientists in developing countries. 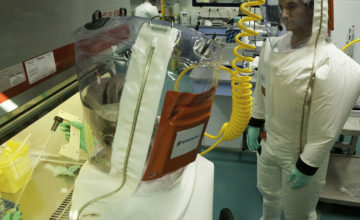 In this BSL4 laboratory the Ebola virus responsible for the epidemic was first confirmed and characterized in March, 2014. 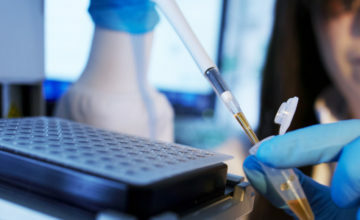 The 8 Rodolphe Mérieux Laboratories provide a cutting-edge platform for applied research and epidemiological surveillance in developing countries.